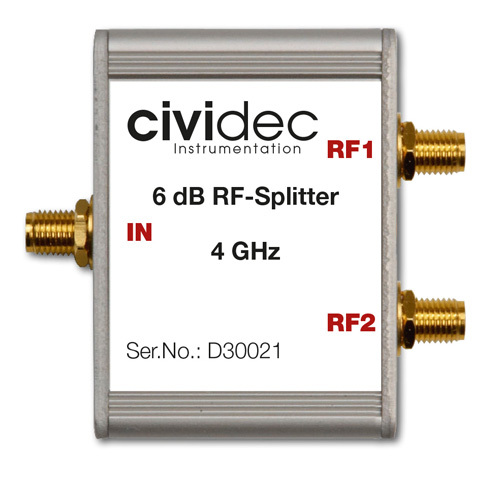 The 6 dB RF-Splitter is made for splitting RF signals into two identical parts. It divides the input signal into two equivalent RF output signals of half the input amplitude. The analogue RF bandwidth is 4 GHz.